Foel Friog Picnic Site at Dyfi Forest (NRW)0300 065 3000work Picnic SiteFoel Friog Picnic site is a pretty riverside picnic site which is off the beaten track at Aberllenefenni near Corris.There is a large flat grassy area for children to play and a rocky outcrop. The Pen y Bryn Trail climbs the hillside, passing ruined farmsteads and giving wide views. 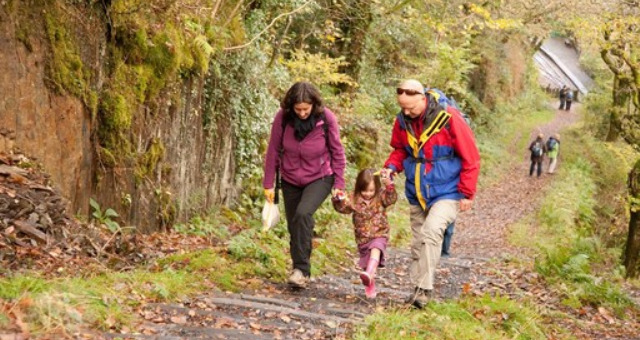 A variety of Slate Walks also start nearby. 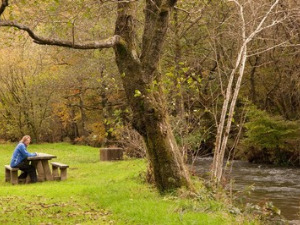 Foel Friog Picnic site is a pretty riverside picnic site which is off the beaten track at Aberllenefenni near Corris.There is a large flat grassy area for children to play and a rocky outcrop.